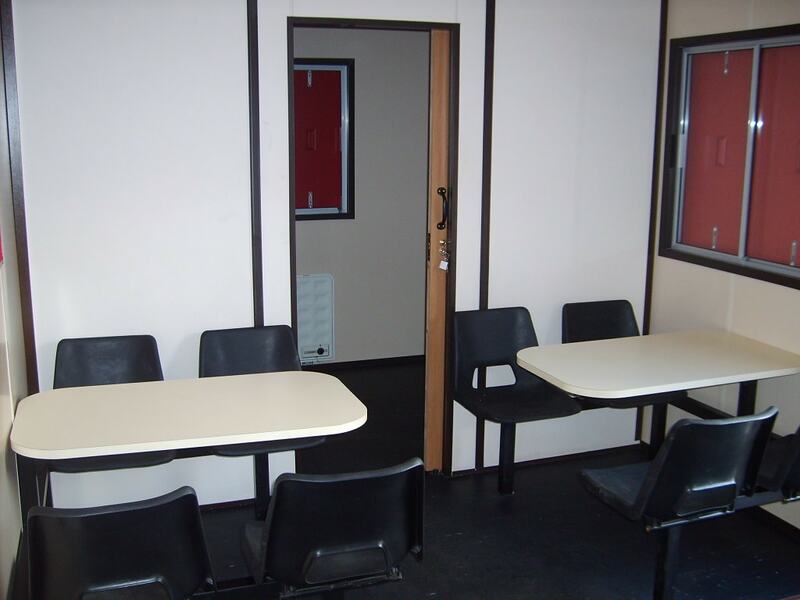 We offer a range of secure site offices, canteens, drying rooms, toilet blocks and welfare units for hire and sale. Our units are available in a range of sizes to suit your requirements. Our canteens offer a warm and dry place for your workforce. We can provide benches, McDonald style seating, tables, chairs, sinks and water heaters, along with white goods such as microwaves and fridges. Our drying room units include benches, coat hooks and heaters to offer staff a warm and comfortable break area. Available in a range of sizes to suit your requirements. 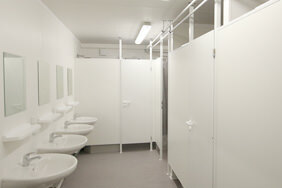 We can offer a variety of units from single chemical toilets to large toilet blocks. Our toilets can be connected to the main water supply or a separate waste and water tank. We even offer a water refill and waste emptying service if required.